This seems to be the thing to do, prequels. I'm not sure how I feel about them! I'm extremely excited to read this book! I adore Wein's other novels, and the character of Julie is definitely someone I want to learn more about. You always write good reviews, Sarah, but this one is exceptionally good. Until recently, I didn't realize that British and American copies of books often had different covers--any idea why? Another great review, Sarah; being such a mystery fan myself, I'm glad to see there are young adult mysteries as well. Oh, how fun! I will have to read this and then pass it on to the 13-year-old. It sounds like it would be right up Mira's alley. In a random side note, I think I actually prefer the US cover for once. Normally, I'm envious of the UK covers. Great review! I was going to ask if you could read this one first but you answered that in your review. Definitely sounds like a book worh reading. Thanks for the review! 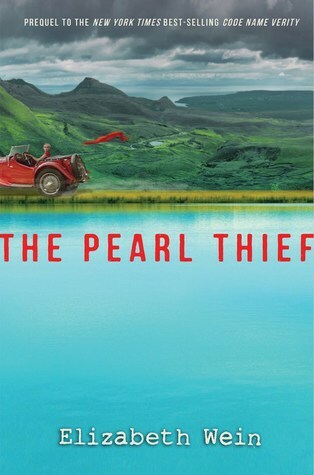 Love the fake pearls in the envelope with the galley--very clever! 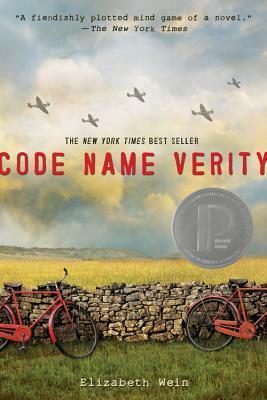 Since the prequel is not out until May, I have time to go back and read Code Name Verity. I know it was hugely popular. I like the sound of this new one though, being sweeter and more innocent and like an Agatha Christie mystery. Did you like the first one more? Jenn, I always have doubts about prequels and sequels, but this one works. Bee, thanks! I'm looking forward to reading your review of this book. Rose, it's not the same publisher abroad so they use their own team of designers and marketers. Often what might work in one country, would not in another. It's especially confusing when they give the same book different titles. 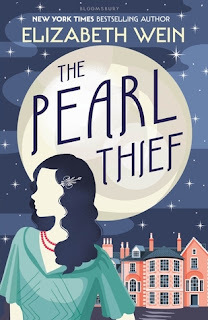 I'm always looking for new YA mysteries since I loved Nancy Drew and Agatha Christie as a kid. Barrie, you'll love this mystery. 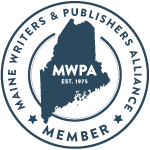 Thanks for hosting the book review club! Cynthia, the pearls were a fun surprise. troutbirder, the Scots might part with the UK to remain in the EU. Well educated citizens understand that Brexit will have harsh economic consequences. Xenophobia and conservatism are driving Brexit, and the Scots tend to be more liberal and identify with the underdog. 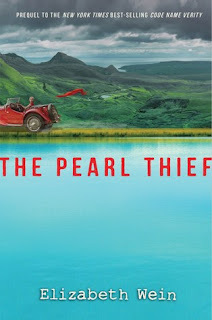 Cue, Code Name Verity was one of my absolute favorite books ever, but I see The Pearl Thief as an extension of that book. Still, it you were only to read one, I'd recommend CNV, which is better geared for older readers. It sounds very interesting indeed. Especially that connection to Agatha Christie. I really liked Julie's character in Code Name Verity. I'm looking forward to reading this and getting more of Julie! Donna, enjoy! The book was released today in the USA.